It’s been quite some time since I’ve picked up a comic book. I use to love it. Reading the adventures of my favorite heroes, page by page, in all their four-color glory. I was well into my twenties when I decided to stop collecting. No, not because I was interested in girls. That’s a tired cliché. In fact, it was storage. 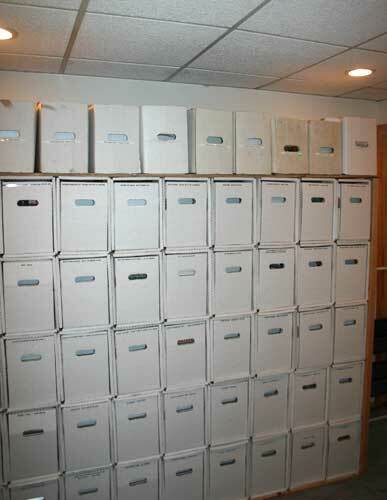 Not only was I running out of room for my long boxes but I was also running out of the most important part of collecting; money. Comics and films were two of my great loves that built me into the person I am today. 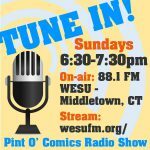 Comics educated me in an entertaining way. Morality, verbiage and a keen artistic eye, which gave me a better understanding of film. It gave me a better understanding on how to tell a story. It translates into what I do in my writing. For all of it, I’m thankful. 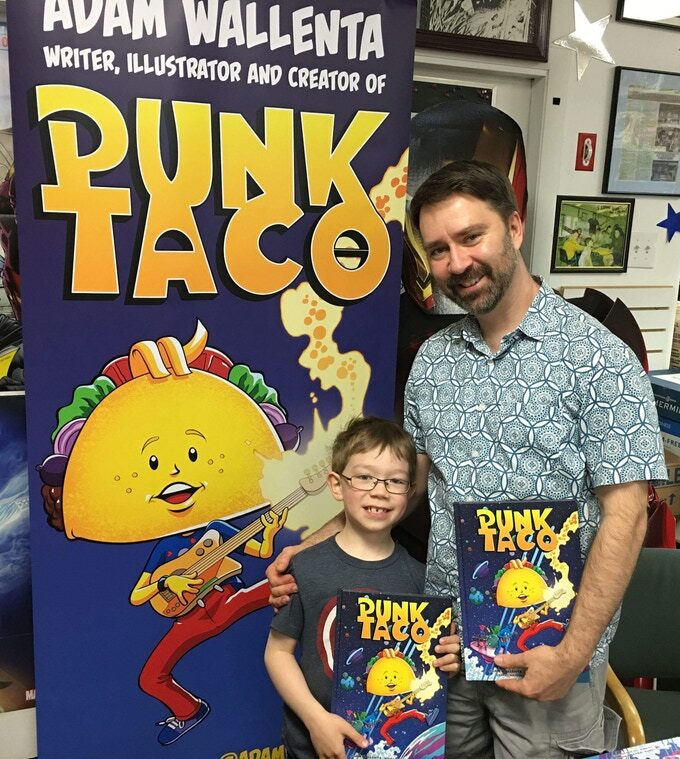 So, when presented with the task of reviewing the comic book, Punk Taco, I was drawn (stop) to its unusual concept. 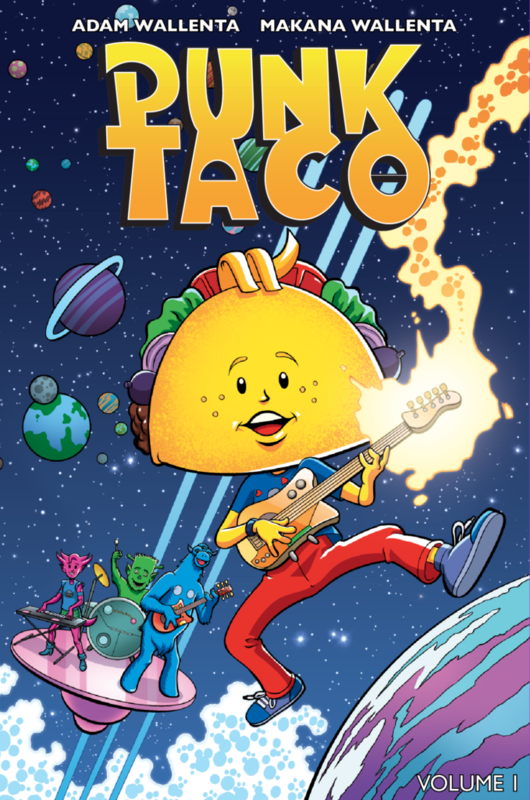 Adam Wallenta and his son, Makana, have created this book about an intergalactic punk-rockin’ sentient taco, spreading peace and positivity through music, along with his band mates. Helping those in need, as they travel to the far reaches of space. Punk Taco, is the perfect blend of child-like wonderment and adult sensibility. The story parallel’s our current political climate but that message is something, I’m sure, goes over the younger reader’s heads. What isn’t lost among those same readers is the simple message of being kind; period. Back in my collecting days, readership was pretty divided. You had kid books that young adults wouldn’t read and young adult books kid’s couldn’t (shouldn’t?) read. The Wallenta’s Punk Taco unites both sides. It’s a breath of fresh air that fits nicely on a family’s shelf. 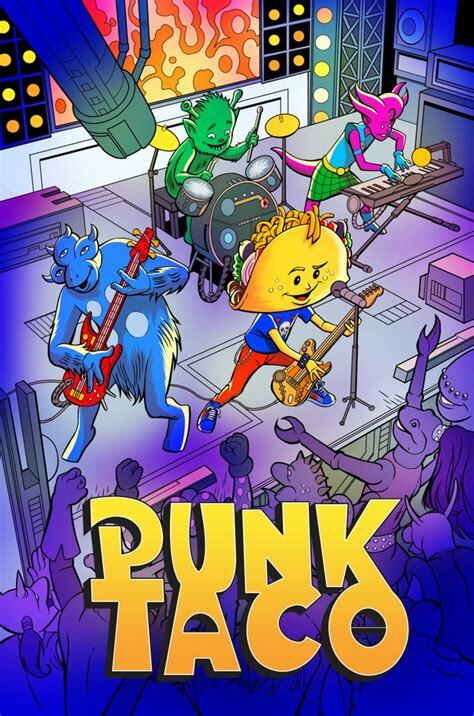 Make room, though, because Punk Taco (volume 2) has just began it’s second campaign over on Kickstarter https://www.kickstarter.com/projects/adamwallenta/punk-taco-vol-2-giant-problems-an-all-ages-graphic Check it out! 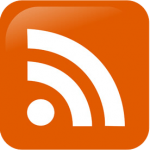 If you like what you see, think about backing this project. Support “being kind”; period.